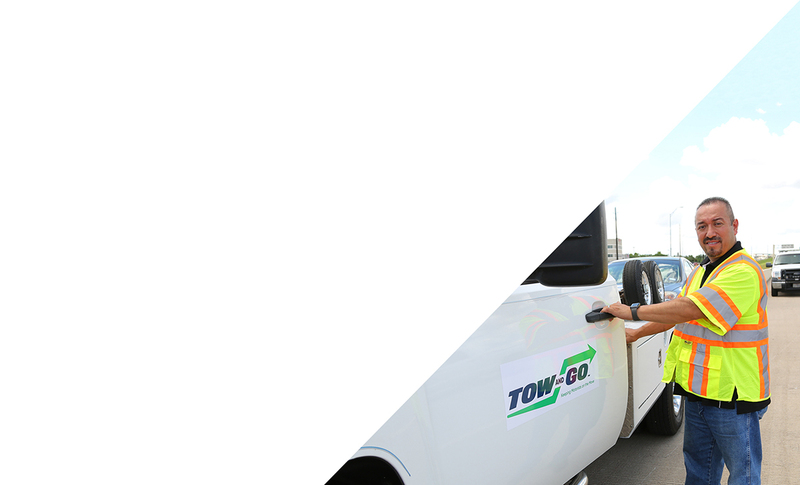 The Gulf Coast Regional Tow and Go™ Program provides motorists with no-cost towing when their vehicle breaks down from mechanical failure (e.g., out of gas, overheating, flat tire) in the main lanes, shoulders, ramps or High Occupancy Vehicle (HOV)/High Occupancy Toll (HOT) lanes of freeways in the Tow and Go service area. In addition to keeping traffic moving, the quick clearance program reduces the chance of dangerous secondary incidents, saving lives. While waiting for Tow and Go, turn on your flashing hazard lights and stay inside your vehicle with seatbelts buckled. Tow and Go will take you and your vehicle off the freeway to a safe location within one mile of your breakdown. If the problem is a flat tire and you have the necessary equipment along with a working spare, the Tow and Go operator will change the tire at no cost. Currently, Tow and Go is available only on camera-monitored freeways within the City of Houston. 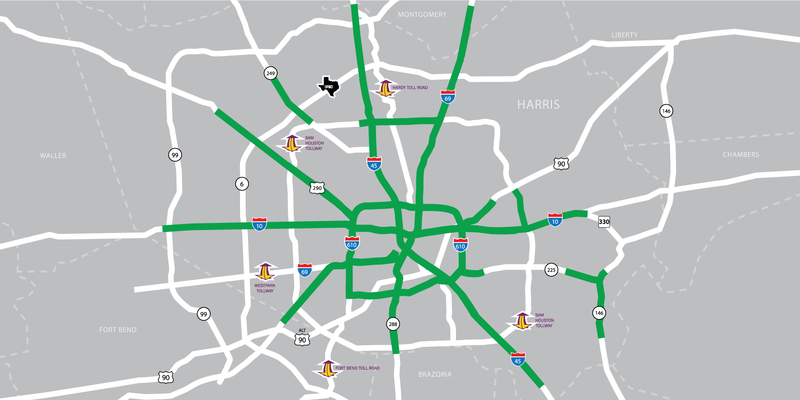 The regional quick clearance program will expand next into Harris County and eventually to freeways in neighboring counties where camera coverage is available and as funding is allocated. 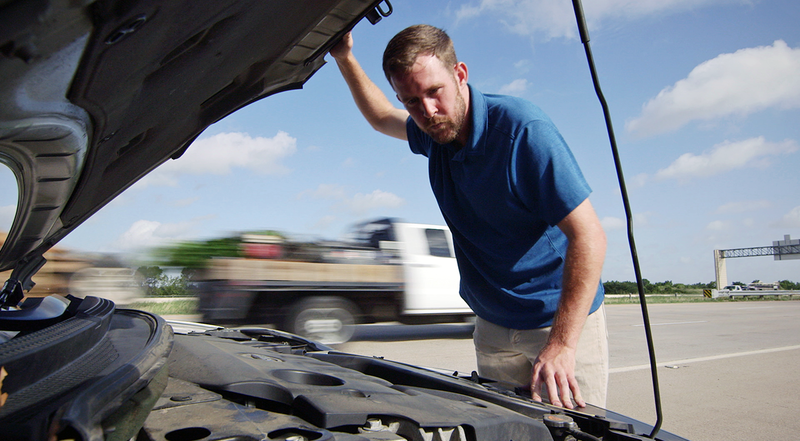 If your breakdown occurs outside the Tow and Go service area, contact officials at Harris County, Brazoria County (south), Chambers County (east), Fort Bend County (southwest), Galveston County (southeast), Liberty County (northeast), Montgomery County (north), and Waller County (northwest) to learn more about local towing fee regulations. Enter your email address to be notified of freeway expansions. After six months of operation, The Gulf Coast Regional Tow and Go Program is already making a positive impact on the Houston community. 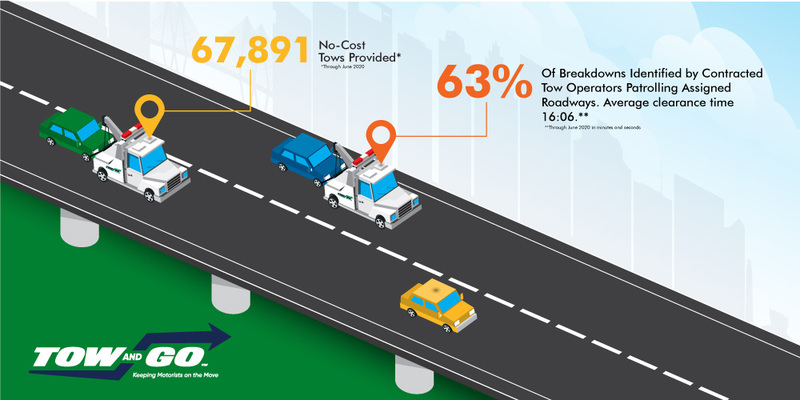 Its efficient approach of assigning specific sections of freeway to contracted tow operators has enabled quick clearance of vehicles – with tow operators typically arriving on the scene and reporting a breakdown to Tow and Go dispatch before stranded motorists have called for help. In addition, Tow and Go’s prompt removal of stalls decreases the opportunity for secondary accidents, saving lives. 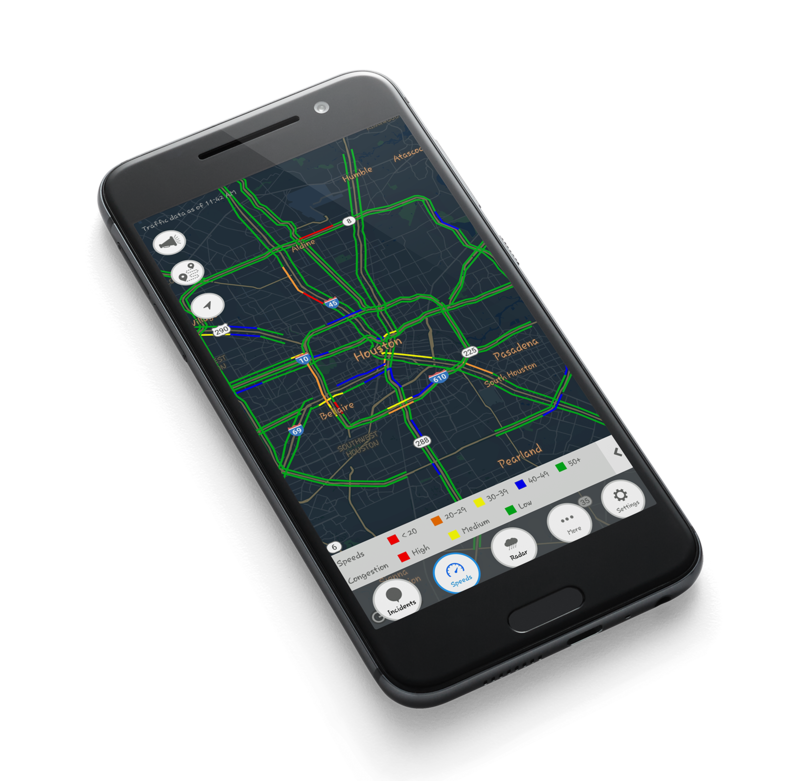 Calling Tow and Go is easy when you download the Houston TranStar app from the Apple App Store or Google Play. Just click on the tow truck at the top of the app to call the Tow and Go dispatcher.